Kindle And Me...: Blog Tour : Second Chances by Rita Oberlies (Guest Post + Giveaway). Blog Tour : Second Chances by Rita Oberlies (Guest Post + Giveaway). Second Chances by Rita Oberlies. High-powered attorney Luke Braden knows that perfection only comes once in a lifetime, and for him it came and went in the form of his college girlfriend, Brenna Morgan. Circumstances beyond his control separated them before, but now that she’s back in Boston, Luke won’t let her slip away again. …or give them a second chance at love? For Brenna Morgan, returning home is the very last thing she wants, especially when it means facing the man who once became her salvation—and then dumped her at the first sign of trouble. But Luke is determined to make up for his past mistakes, and Brenna finds herself weakening against him. A decade of deceit lies between them, and he’ll have to fight if he wants to keep his second chance at love. 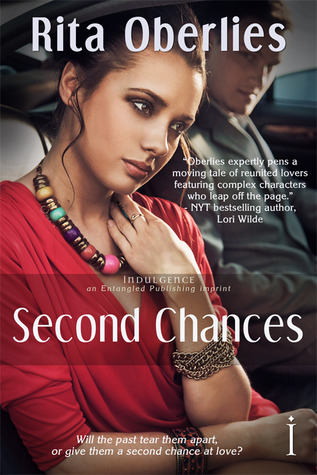 Thanks to Entangled for letting me participate in the Second Chances Blog Tour! Today we've a guest post from the author of Second Chances, Rita Oberlies, followed by an e-book giveaway so make sure you enter! As children we are often asked what we want to be when we grow up. I remember a moment during my sixth grade graduation when the principal asked where we saw ourselves ten years down the road. Most of my peers dreamed of Hollywood, a starting position with the Boston Red Sox, even buying an ice cream truck (I hope you’re reading this Michael because I told you I’d remember). I wanted to write. Unfortunately it took me an additional two decades to figure out exactly what I wanted to write. At heart I’m an optimist. Tragedy and heartache exist. We’ve all experienced them. That doesn’t mean the world is miserable. Romance reminds us that happy endings are possible. The best in romantic fiction tells us that you don’t have to be beautiful or wealthy to secure a satisfying relationship, you just have to be willing to work for it. As humans we long to connect with others on an emotional and physical level. In my novel Second Chances my hero and heroine don’t invest fully in each other early on in their relationship. Brenna and Luke fall in lust and then love without acknowledging personal weaknesses and emotional barriers. This, of course, dooms their young relationship. Six years later they’re ready to try again. In writing Luke it was important for me to show that in many ways he was the more vulnerable character. He knew in his heart that Brenna was the woman he wanted for all time. This drives him throughout the book to prove that he could be her rock, her friend, and ultimately her lover. Ah, romance. Raw. Honest. Powerful. Thanks you Rita for taking the time out to tell us about your novel! Prize is an e-book copy of the book, which is an adult novel so it's up to you to know whether you can read it. It's the author/publisher's responsibility to ensure the winner gets the prize, not mine. Giveaway ends on 10th July, 2012. Rita Oberlies grew up in the Boston area, the youngest in a family of six children. At an early age she developed an addiction to books, baseball and the beaches of Cape Cod. 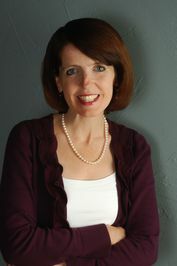 After graduating from Villanova University with a degree in English, Rita spent almost a decade pursuing a professional career in Employee Development. With the arrival of two children, Rita began writing stories during those brief periods of time when her young sons were sleeping. Today Rita resides in Western New York with her husband, their young boys, and a pair of adopted shelter dogs. Despite her best efforts, she remains addicted to books, baseball and the beaches of Cape Cod. Her novel, Second Chances, is her third published book. Thank you, Fara! I'm so glad you liked my guest post. Awww I love how this books sounds! Everyone deserves a second chance at love! Thanks for stopping by Martha! I love second chance at love movies and books -- and songs! I don't watch Castle but that was a touching moment. It sounds like Ms. Oberlies really cares about characters and sees them through. That is so sweet!I would really love to read this. Hi Kelly! Castle is one of my guilty pleasures. Every season I like it more and more. Thanks for stopping by and commenting. This book sounds great ! Not read anything else of Rita Oberlies's but im definately going to check her work out. I wish I had an ice cream truck now! I love the cartoon ice cream pops with the gumball eyes LOL. Thanks for the giveaway and the great guest post!